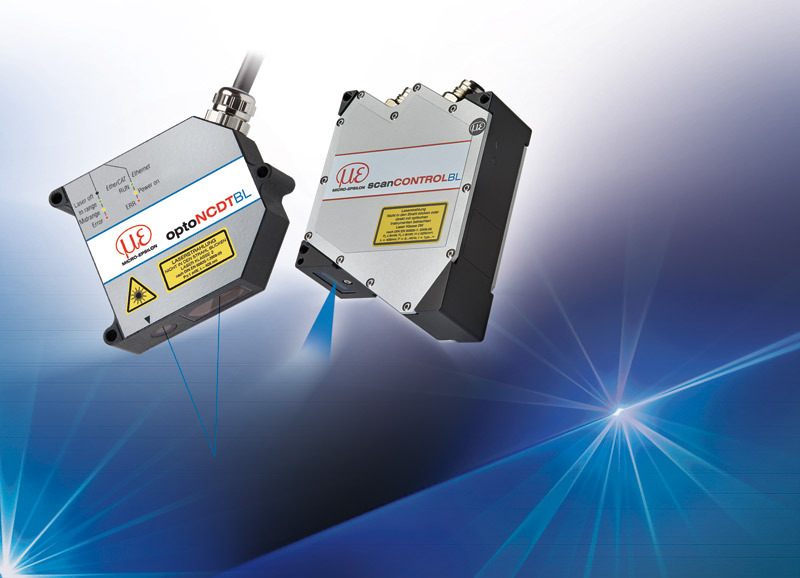 Laser profile scanners and laser triangulation sensors equipped with a blue-laser diode offer numerous advantages over red-diode lasers. For decades, sensor specialist Micro-Epsilon has played a leading role in measurement applications based on Blue Laser Technology and has a worldwide applied-for patent on these applications, particularly on red-hot glowing and (semi-) transparent objects. Instead of a red laser line, the Blue Laser diode generates a blue-violet laser beam with a wavelength of 405nm. The sharper focus enables a sharper projection of the laser beam and therefore increased accuracy. In numerous measurement tasks, the technology already patented in several countries by Micro-Epsilon offers decisive advantages compared to red-diode laser sensors. The sensors are equipped with new high-performance lenses, new intelligent laser control and innovative evaluation algorithms. Unlike the long-wave red laser, the short-wave, blue-violet laser light hardly penetrates the measurement object. Particularly with organic materials such as wood or semi-transparent objects such as adhesive beads or plastic profiles, this effect becomes distinctively visible. The blue laser point or blue laser line is sharply imaged onto the surface and projected onto the sensor element, providing stable and precise measurement results. 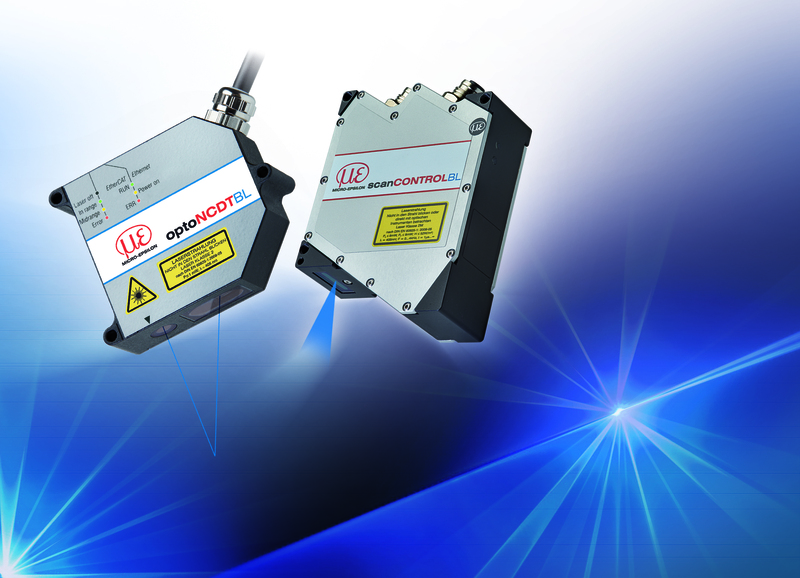 Micro-Epsilon Blue Laser Technology also has important advantages on red-hot glowing objects. The long-wave radiation emitted by red-hot glowing objects dazzles the receiving elements of laser sensors that operate using red laser light. Blue Laser Sensors are equipped with optical elements that cannot be influenced by this radiation, which therefore enables stable distance and profile measurements of slabs, cast parts and glowing brake disks. Measuring the deformation of brake disks under load while braking is an ideal task for the optoNCDT laser sensor. Due to the short wavelength of the blue-violet laser employed, the light emitted from the thermocouple does not dazzle the sensor, as the intrinsic long-wavelength incandescent radiation is a long way off the 405-nm wavelength of the blue-violet laser, and it is effectively blocked by the high quality interference filters used.